Okay, so you’ve set up your own personalized gaming station equipped with your tablet and your new iPad bed stand. Now where do you go from here? We’ve got a little something to point you in the right direction. Here’s a list of the top 5 best iPad games that you can play. No matter what genre you’re into, there’s something here for you. 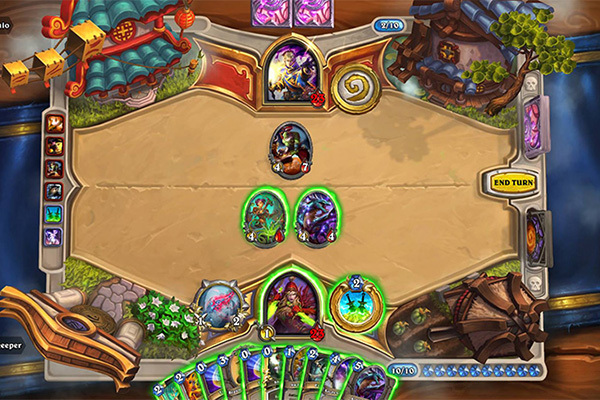 Hearthstone is a collectible card game similar to Magic, but it is much more accessible. It takes advantage of its medium to deliver mechanics and effects that you can’t replicate in real life. Actually, you won’t need real life anymore once you dive into this game. It’s dangerous. Drug addicts are reputed to avoid it. You need the cards, all of them. Their golden animated version, too. Just one more turn. Is that the sun rising…? A certain amount of luck factor is common to all the ‘draw-and-pray’ card games. But Hearthstone actually requires a lot of knowledge and strategy. You need to take full advantage of each situation and play your way around the worst ones. You control both brothers at the same time. This might sound like trouble from the get-go but it’s really what makes the game unique in its genre. Think of Brothers as basically a single-player co-op game where you have to somehow make both your hands cooperate. 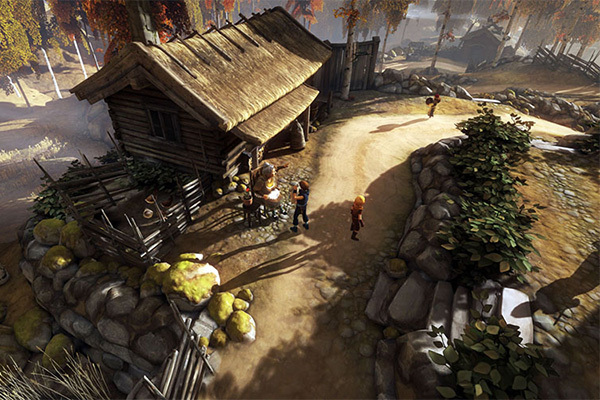 The game can be completed in 3 to 4 hours and it is story driven. Surprisingly, it does not contain a single line of dialogue and it is almost exclusively gameplay sections. Forget annoying cutscenes. Brothers knows how to show not tell. This game is a journey you need to experience. You’re in control the entire time. At the very end, even the mechanics play a part in both the story and the emotional experience. It’s hard to explain without divulging any spoilers, but this game manages to subtly do, through natural gameplay, what other games have tried to do and failed. This is an old 2D puzzle game from 2008 that still looks decent and sounds fantastic. Crank your subwoofer to 11 and listen to this track! Any further persuasion is unnecessary. Anyway, as a player, you are the hand of god controlling little balls of goo (how awesome is that sentence). 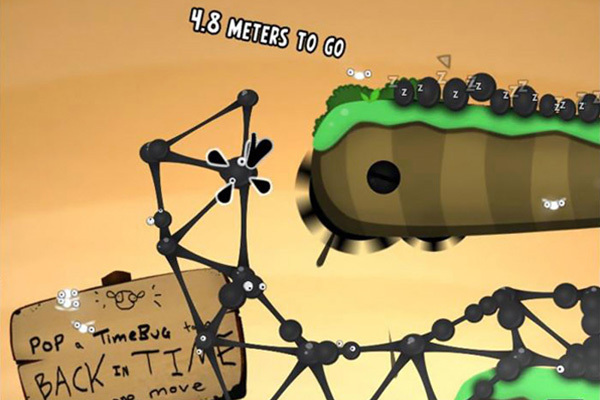 Connect the balls of goo to reach an otherwise unreachable exit. But be wary! Your goo bridge can quickly fall to its demise if you aren’t careful about balancing your structure and keeping it intact. Your balls of goo will fall and die. Yes, it’s a bit brutal. Poor goo. Simple to understand but hard to execute, the game is difficult but fair and requires both patience and quick reflexes. Overall, it keeps a sense of humor and actually has a pretty captivating story to tell through the progression of the levels. Did I mention the awesome soundtrack? Another oldie (but a goodie). 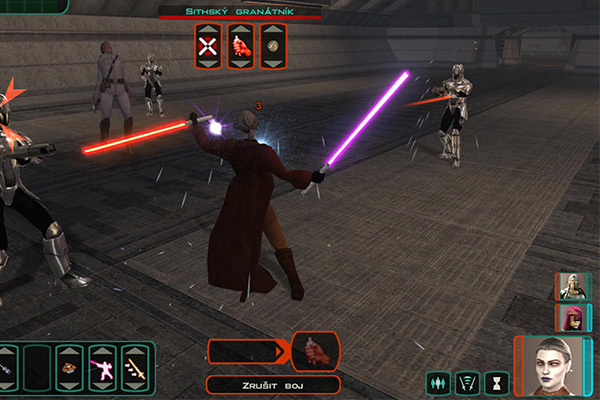 This game was first released on PC in 2003, a long time ago, in a galaxy far, far away… At the time, it was one of the best Star Wars games a fan could ask for. It explored the Force, the Sith, and a whole universe you could not find anywhere else. Equipped with a great story, meaningful side quests, and strategic gameplay, this RPG confronts you with choices that will alter the story and the character’s development. And… now it can be played on iPad. What are you waiting for? In this game you get to control a princess and explore an arena that makes you feel like you’ve stepped into an Escher painting. Sounds pretty neat, huh? You walk through levels that make use of perspective illusions, and you have to find the exit by climbing stairs, walking on walls, and pushing levers that bring impossible paths to life. The game is soothing. The colors and contrast are beautiful. But it’s Zen without forgetting that it’s a video game. 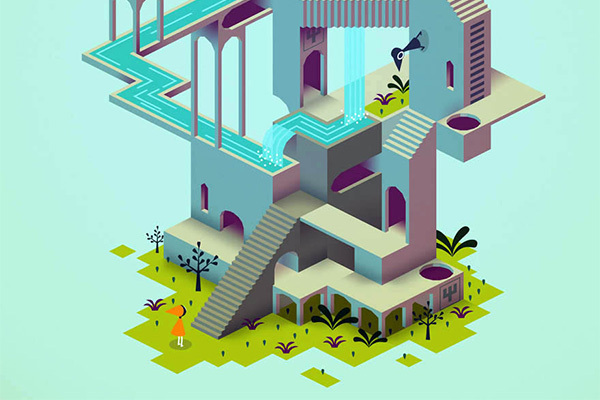 If you’re looking for something laidback, Monument Valley isn’t extremely challenging, but it does give you that feeling of satisfaction every time you solve a level. It’s a short game, too, but if you want to get your non-gamer friends interested, this one’s for them!